The Gay Gamer: Super Beta Mario Bros. 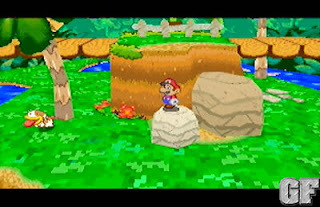 Thanks to a tip from one of the many gaming sites I visit every day, I recently stumbled upon a blog that features screen shots of beta versions of various Mario games--including Super Mario World, Yoshi's Island, Super Mario 64 and Paper Mario. Hey. I think Blogger might have eaten my previous attempt at leaving a comment. Damn error screens. As I said before, thanks for the link. Coin Heaven is a fairly new project and I'm appreciative of all the promotion I can get -- especially when it's from a fellow gay gamer. 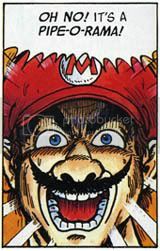 For the record, I'd be most interested in seeing Super Mario World with the raccoon superpowers and the Mushroom Houses intact. And Yoshi the Mushroom? Absolutely baffling. Will Wii get a keyboard?